Miss Audrey decided that she was going to be Batgirl for Halloween. Costumes are so expensive, and made of such cheap material, so I try to DIY them when I can. 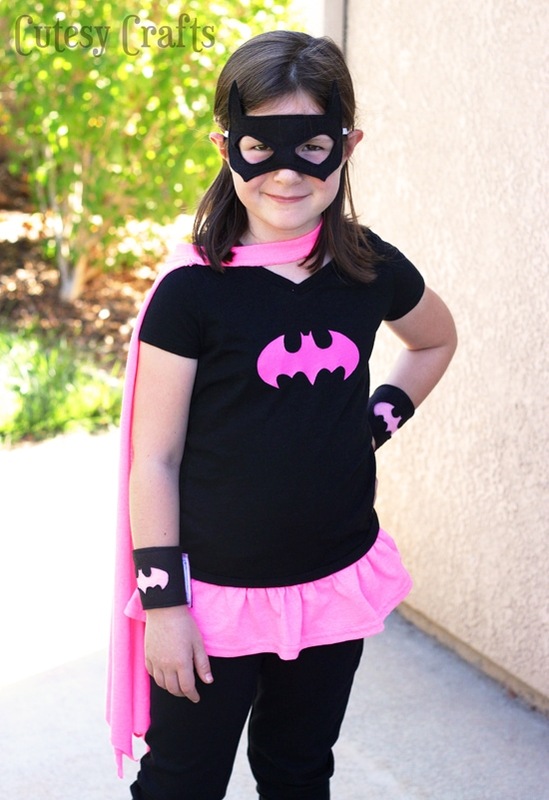 I had this idea to transform a kid’s shirt and an extra large adult shirt into a a Batgirl shirt and cape for her. I took the bottom of the women’s shirt off, used that for a ruffle on the black shirt, and used the rest of the pink shirt for a cape. 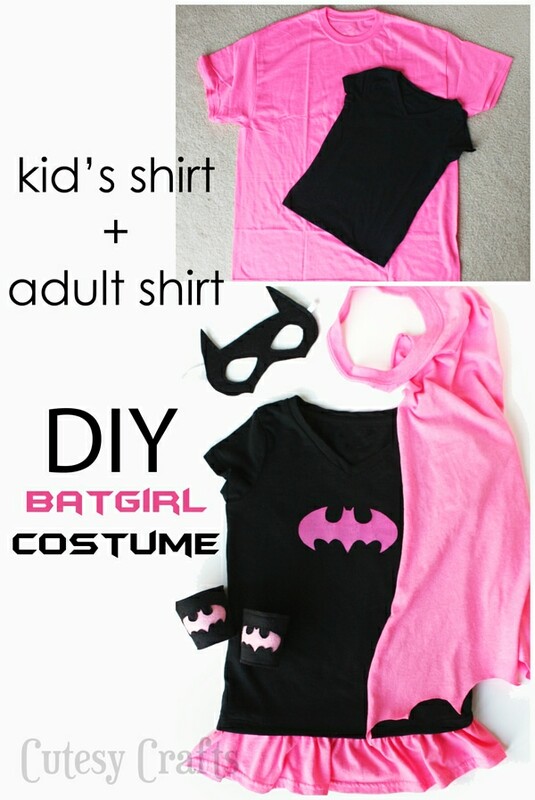 Add a freezer paper stencil to the black, and you’ve got a super easy DIY Batgirl costume. The best part? The two shirts only cost me $5.00! The black shirt was on clearance at Target for just $2.00 and the women’s shirt was only $3.00 at the craft store. I had the rest of the supplies on hand, so it made for a very inexpensive costume. It’s also comfortable and washable, so I know it will get lost of use. I can’t even begin to tell you how excited she is about her DIY Batgirl costume, and I know the shirt is going to get lots and lots of use after Halloween. She’s already begging me to wear it every day. Luckily it’s comfortable (and washable), so for the most part she can! I might have to talk her out of wearing the accessories to school though. 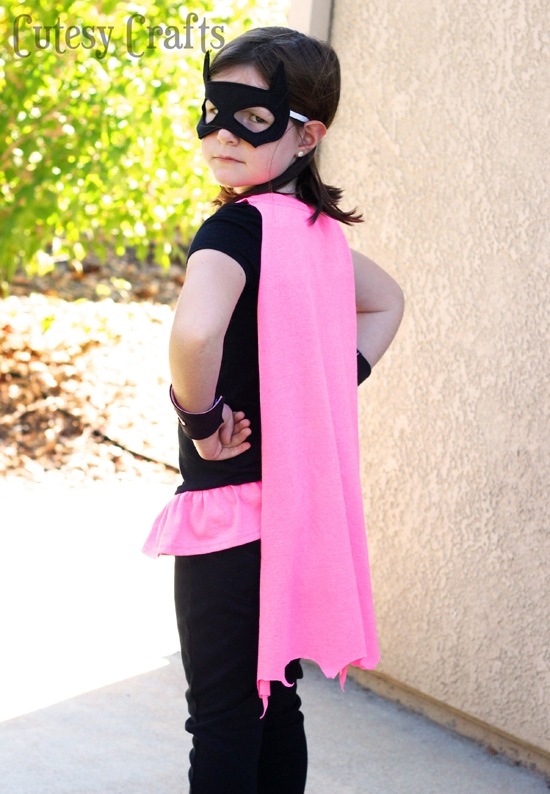 Let me know if you make your own DIY Batgirl costume. I’d love to see how it turns out! 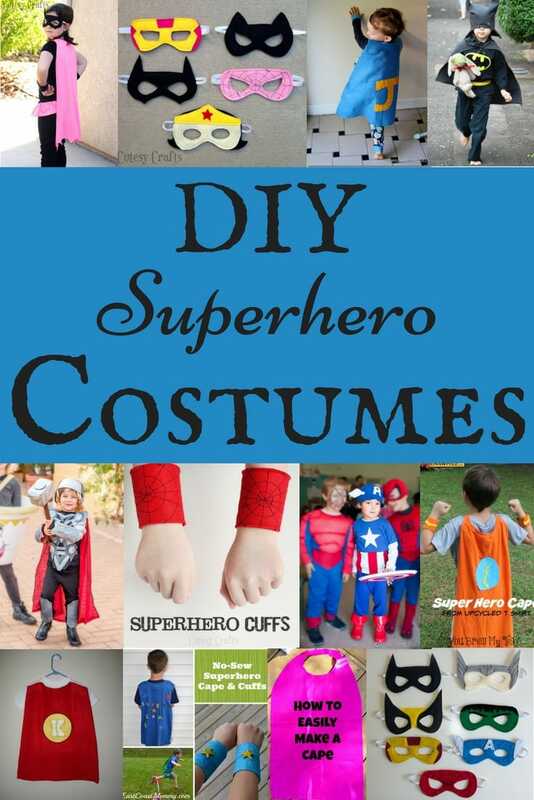 Take a look at these other DIY superhero costumes! Seriously?!?! You are the best mom ever! The costume looks amazing! It looks perfect! I always prefer to make my costumes too! Learning how to sew has saved me so much money! My daughter would love this! She loves Batgirl! 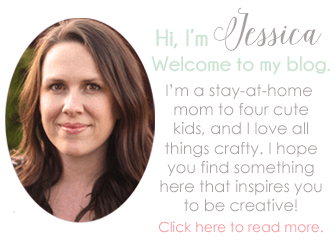 Thanks Kristie! I love knowing how to sew! thanks so much. After looking at one store for a quick batgirl get-up and not turning up anything, I remembered my wife saying we would make one and then…I found this. I don’t think anyone will believe her when she says her dad made it. Awesome! My daughter is wearing her shirt to school today. I think it’s even better than store bought!